Hong Kong’s best-known young activists were heckled by Chinese nationalists in tense scenes Sunday as the city’s pro-democracy camp tries to claw back lost seats in controversial by-elections. 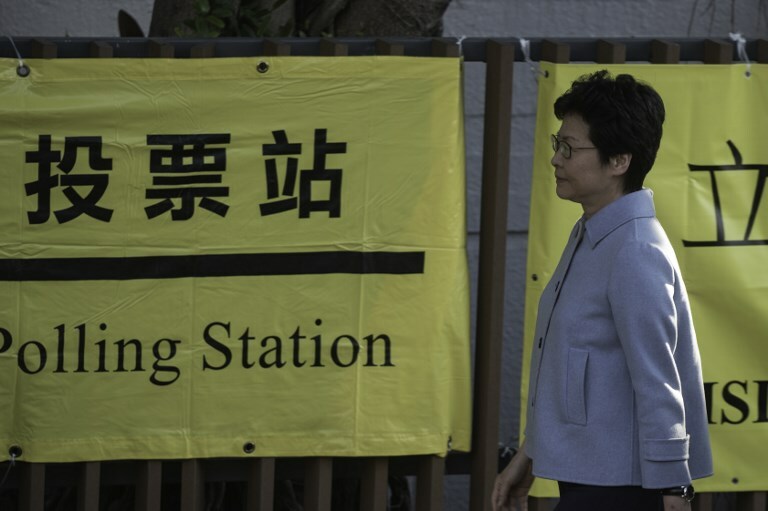 Hong Kong Chief Executive Carrie Lam arrives to cast her vote for the Legislative Council by-elections at a polling station in Hong Kong on March 12, 2018. Photo: Philip Fong/AFP. Sunday’s vote once more exposed the city’s deep political divide and comes as China takes an increasingly tough line against any challenges to its sovereignty. High-profile candidate Agnes Chow was barred from standing because her party promotes self-determination for the semi-autonomous city. 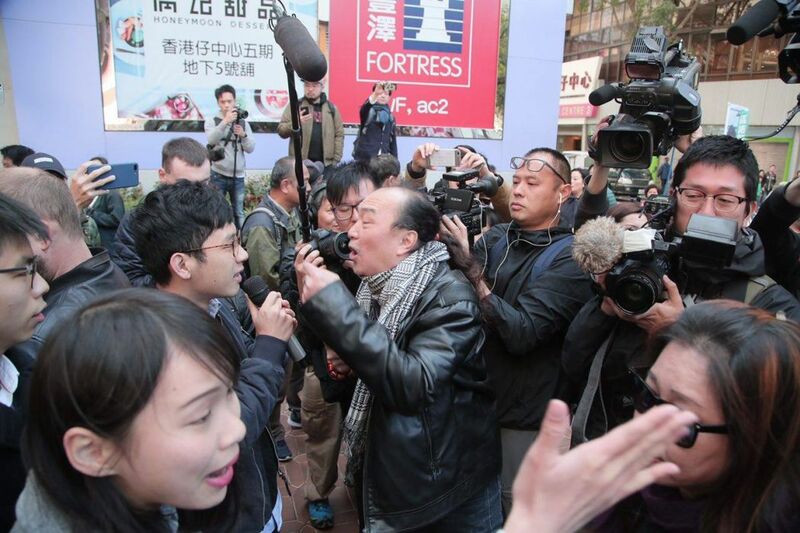 Soon after polls opened, several men and a woman heckled Chow as well as leading pro-democracy activists Joshua Wong and Nathan Law near a polling station where they were supporting pro-democracy candidate Au Nok-hin, according to an AFP reporter at the scene. One of the men barged into Wong, who led mass demonstrations in 2014 calling for greater democratic freedoms. “Traitors and running dogs!” a man repeatedly yelled while others hurled repeated obscenities. 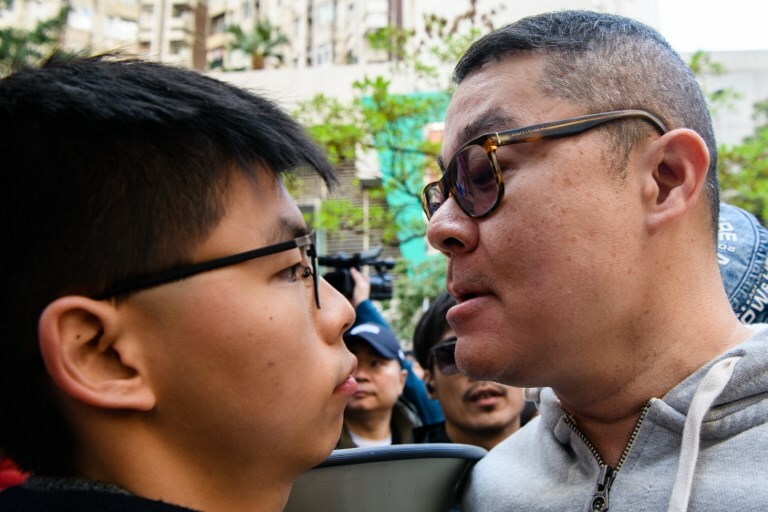 A man (R) faces off with pro-democracy campaigner Joshua Wong (L) as he and other campaigners gather to support by-election candidate Au Nok-hin (not seen) for the Legislative Council by-elections in Hong Kong on March 11, 2018. Photo: Anthony Wallace/AFP. Wong told reporters that threats to freedoms in the city “prove that it’s more necessary for us to vote”. 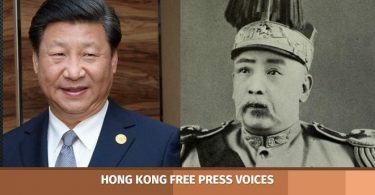 Beijing has become incensed at the emergence of activists advocating independence and views calls for self-determination as part of a dangerous splittist push. The by-election was triggered after Beijing forced the disqualification of six rebel lawmakers who had swept to victory in citywide elections in 2016. Some were former protest leaders, others openly advocated independence. All were ousted from their posts for inserting protests into their oaths of office. Four of the six vacant seats are being contested Sunday. “The election is not just about selecting me as a candidate, it is also about voting for justice,” said Au, who stepped in to contest the Hong Kong Island seat after Agnes Chow was disallowed. Democracy campaigners were deeply angered by the ban on Chow which they said was political screening. The seat was originally held by Law, also a 2014 protest leader, who was among the six thrown out of office. But pro-establishment politician Judy Chan, standing against Au, cast the opposition as provoking “violence and resistance”. 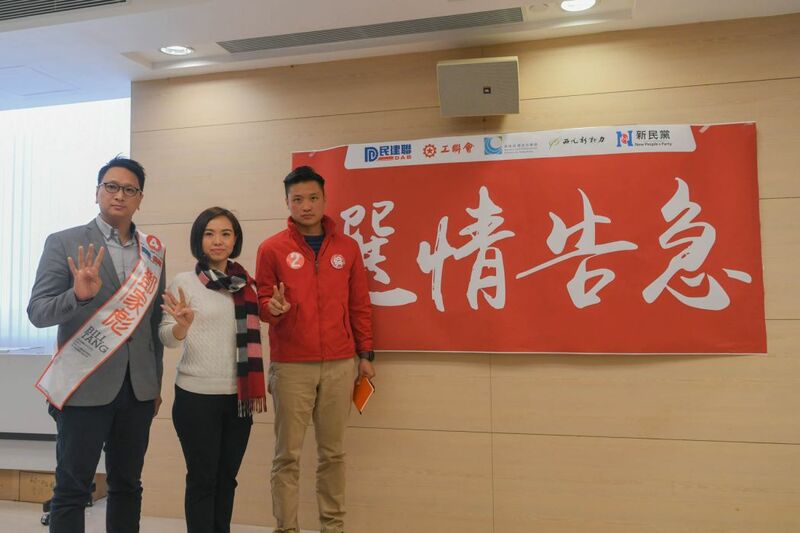 Pro-Beijing candidates. Photo: New People’s Party. “The by-election is a chance for the silent majority, who are tired of a politicised Hong Kong, who detest those who humiliate the country, to come out and tell those politicians that Hong Kong has no room for them,” Chan told AFP. Many of the first people to cast ballots at a polling station AFP visited early Sunday were elderly and supportive of the city’s pro-Beijing establishment. “I’m not resistant to democracy and freedom, but I can’t accept the independence of Hong Kong,” voter Chan Chik-sing, 60, told AFP. But others said people were angry about inequality. 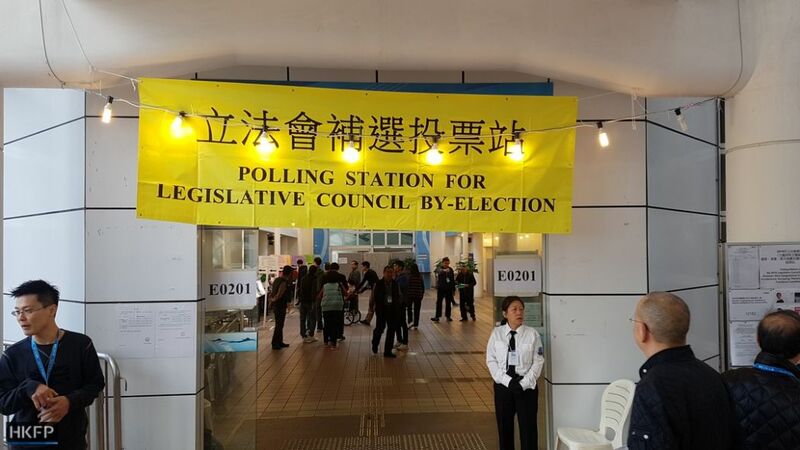 “If the government’s policies were really that good and supported by citizens, the public’s satisfaction level for the government wouldn’t keep deteriorating,” said voter Lilian Leung, who was in her late 30s. 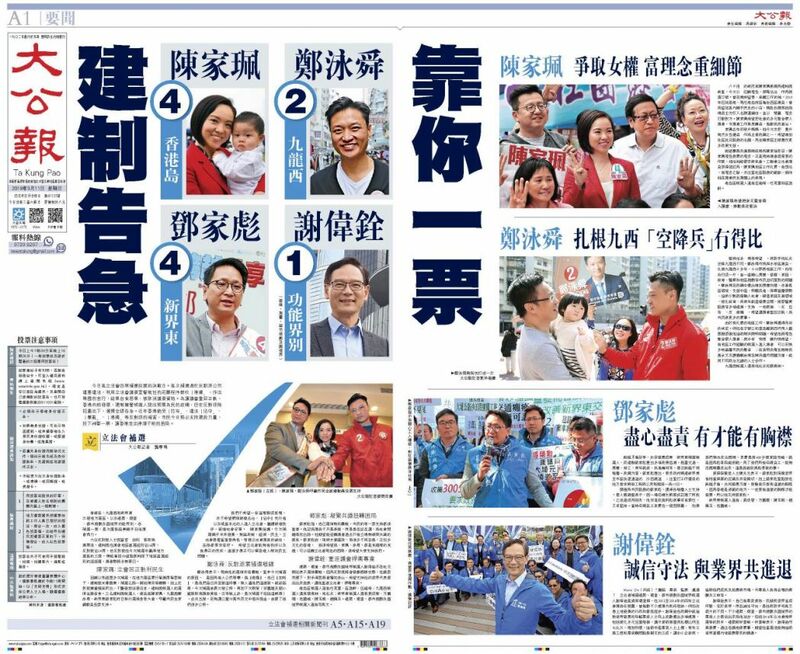 Pro-Beijing newspapers in Hong Kong urge votes for the pro-establishment camp. The six lawmakers were retrospectively barred from office by Hong Kong’s high court after Beijing issued a special “interpretation” of the city’s mini-constitution stipulating legislators had to take their oath “solemnly and sincerely” or face being banned. Pro-independence lawmakers had inserted expletives and waved “Hong Kong is not China” banners during their swearing in. Others added phrases supporting the democracy movement. The pro-democracy camp has come under increasing pressure since the failure of the Umbrella Movement to win political reform, with some leading activists jailed on protest-related charges. Political analyst Dixon Sing says losing any one of the four by-election seats would be a further blow. But he added that even an across-the-board win would be countered by a system fundamentally weighted towards Beijing. Only half the legislature is elected, with the rest selected by traditionally pro-establishment interest groups. Of 70 seats, the democracy camp currently holds 24, only just clinging on to the one-third needed to veto important bills. It has also been curbed by new rules against filibustering, long a favoured tactic.